MANILA – Human rights abuses such as extrajudicial killings, illegal arrests, red-tagging and other harassment of activists in Mindanao and other parts of the country have increased after Dec. 13 when a joint session of Congress voted to extend martial law in Mindanao up to end 2018. These include the disappearance of eight Lumads in Sultan Kudarat, the killing of an anti-mining activist in Compostela Valley, and the arrest of a peasant leader in Cagayan Valley. Progressive lawmakers from the Makabayan bloc and the broad alliance, Movement Against Tyranny (MAT), have warned that the second extension of martial law in Mindanao will serve as a means for the Duterte administration to further legitimize human rights violations. “(Martial law) is another scheme that is equivalent to rights abuses committed with impunity,” said Cristina Palabay, secretary general of the Karapatan Alliance for the Advancement of People’s Rights (Karapatan). “A benevolent martial law, or martial law with a heart only exists in the walls of gated villages and mansions where politicans who approved this policy are safely guarded. The only people to celebrate this are the instigators of State terrorism,” she added. 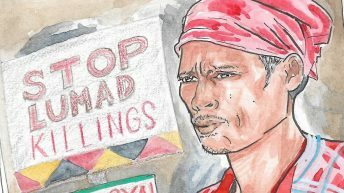 Karapatan reported that on Dec. 13, on the day of Congress’s vote on martial law extension, eight Lumad from Sultan Kudarat went missing after they were taken by the Marine Battalion Landing Team in sitio (subvillage) Tinagdanan, Hinalaan village, Kalamansig town, Sultan Kudarat province. The victims were identified as: Kuya Gantangan, Anto Gantangan, Jonard Gantangan, Dodo Gantangan, Dinky Gumpay, Palut Saglang, Kasio Ciano and Jitre Gantangan – all members of Kesasabanay Dulangan Manobo (Keduma), a local Lumad organization resisting the logging and encroachment activities into Lumad ancestral territories of the David M. Consunji, Inc. (DMCI). The operations of DMCI are in the Daguma Mountain Range covering the area of Sultan Kudarat, Maguindanao and South Cotabato. “They are also students in the Adult Literacy Program of Center for Lumad Advocacy Networking and Services (CLANS) and members of Parent-Teacher Community Association (PTCA) in a Lumad School in Sultan Kudarat,” Karapatan said. The victims are yet to be located. The human rights group also reported the death on Dec. 15, of two-year old Dulangan Manobo, Joshua Gantangan from the same community. The child died in a hospital after being reportedly heavily traumatized when members of the Marine Battalion Landing Team (MBLT) barged inside their house on Dec. 13. On Dec. 17, Karapatan-Southern Mindanao Region (SMR) issued an urgent alert that 39-year-old anti-mining activist Jeanni Rose Porras was found dead in a funeral parlor in Nabunturan, Compostella Valley. She was reported missing on Dec. 14. Porras’ son (name undisclosed) reported that Jeanni went out of the house on Dec. 14 to talk to someone, and has not been seen since. 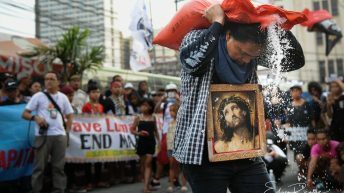 On Dec. 15, he reported the incident to the police and other members of the Compostela Farmers Association (CFA), of which Jeanni is a member. As of press time, Karapatan-SMR and CFA are still preparing a report about her abduction and death. 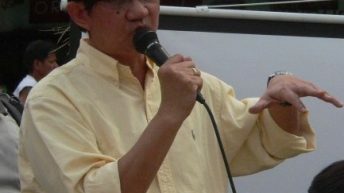 Anakpawis partylist Rep. Ariel Casilao called Compostela Valley the “valley of death,” as the most number of activists killed were recorded in the province under the Duterte administration. Three weeks ago, another member of CFA, Rodrigo Timoteo, was gunned down by elements of the 66th Infantry Battalion. He was on his way to Davao City to join the protest marking Bonifacio Day. Members of CFA are also targets of harassments and extrajudicial killings, known for their strong opposition against militarization and corporate mining in the region. In March this year, Davao Today reported that three CFA farmer-members were killed in one day in the province. Human rights abuses against peasants are also on the rise in other regions of Mindanao and other parts of the country. 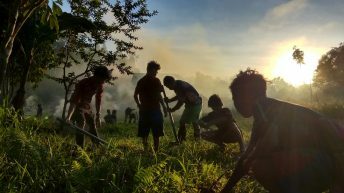 On Dec. 16, Michael Pineda of Kilusang Magbubukid ng Pilipinas – Northern Mindanao Region (KMP-NMR), reported that 22 soldiers of the 88th Infantry Battalion of the Philippine Army went to the community of farmers in Field 1, Musuan, Maramag, Bukidnon. The soldiers, who were in plainclothes, gave several excuses for surveying the area, ranging from having to look for stray animals to being ordered by the National Irrigation Authority (NIA) to fix the irrigation in the area. Eventually, the farmers learned that the state forces were looking for Winnie Loable, chairperson of the peasant alliance BUFFALO-TAMARAW-LIMUS (BTL). The group has been asserting the farmers’ right to land in the area. On Dec. 19, Elmerito Pagulayan, chairperson of the Danggayan Dagiti Mannalon Iti Isabela (DAGAMI) – San Mariano, was arrested by elements of the Philippine National Police (PNP). A trumped up charge of frustrated murder was filed against him and bail is set at P20,000 ($400). Pagulayan participated in the Lakbayan ng Pambansang Minorya held in Manila in September this year. In 2015, he also testified for corn-producing farmers who were deep in debt after the implementation of policies imposed by the World Trade Organization (WTO). 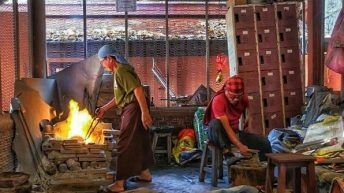 Businessmen lent money to the farmers at usurious rates and farmers are also left at their mercy for lack of materials to be used for farming. “Martial law in Mindanao has been wielded against the civil rights of Moro civilians in Marawi, Lumad communities in Surigao del Sur, and other unsuspecting civilians, on the mere accusation of being Maute members or NPA rebels. It has only resulted in hourly airstrikes, hordes of forced evacuations and harassments and killings by trigger-happy state forces,” Kabataan Partylist Representative Sarah Elago said in a statement. 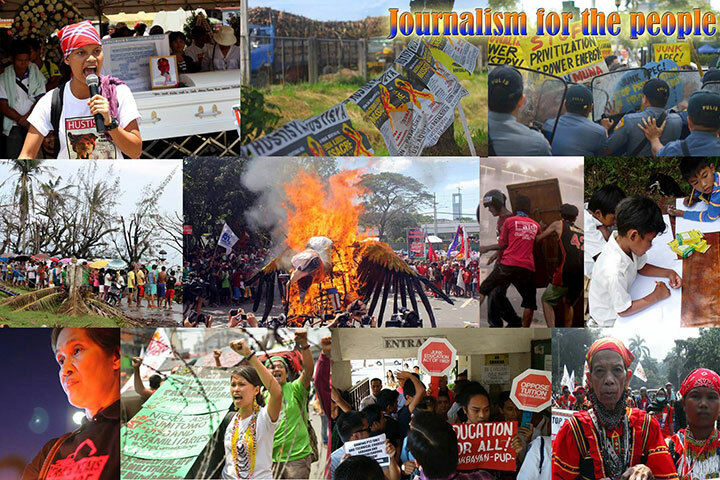 Journalists are also targeted, with the harassment against Davao city-based broadcast journalist Kathyrine Cortez of Radyo ni Juan. She received death threats and intimidating messages from anonymous senders on her mobile phone following her strong criticism of the Malacañang photo shoot of Isabelle Duterte, the president’s granddaughter. 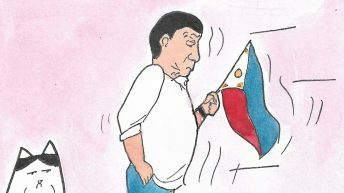 “Duterte is a militarist, warmonger, fascist monster who is ready for his role as Marcos’ successor — another tyrant mired with corruption, cronyism, abuses and impunity. There is no factual basis for this extension, except the hogwash and non sequitur formulations and of the AFP, PNP, and its commander-in-chief,” Palabay said. She explained that martial law does not solve anything and merely aggravates and proliferates violations and rights abuses. “This inches us closer to a nationwide martial law, rubber-stamped by super majority coalition in the Congress who are the proud mindless minions of their despicable and authoritarian President. The people and all human rights advocates are called on to resist, to fight, and to defeat this dictatorship. We remind the Duterte regime that martial law does not absolve his and his State security forces’ crimes and abuses. The people will no doubt bring them to justice for all the atrocities they have committed against the Filipino people. Makibaka, huwag matakot,” Palabay concluded.